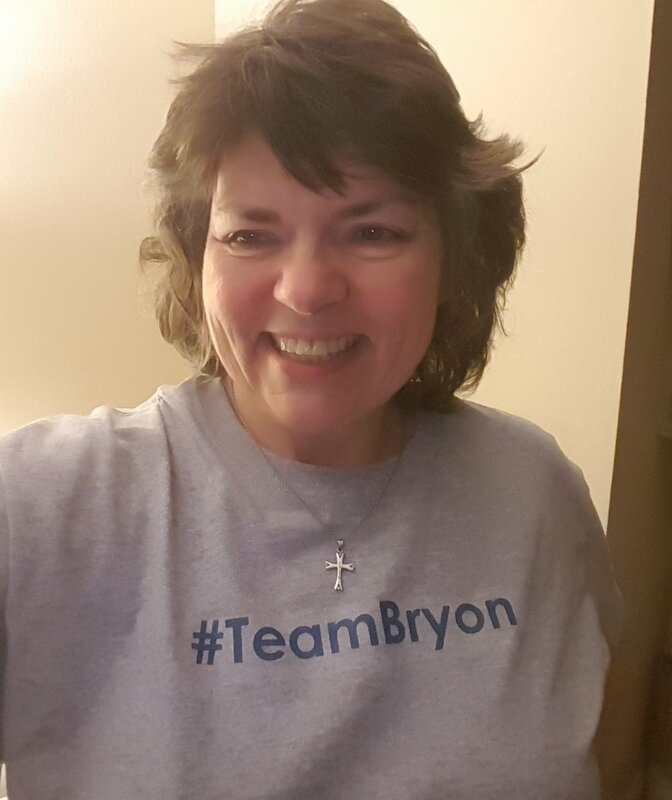 The further Bryon gets away from chemo, the better he feels. Chemo finished on Friday, April 13 (yes, Friday the 13th). His birthday was on April 17, but he asked that we hold off on sending his birthday package to until he felt better. We just sent that package to him! We still do not know if the tumor is dead yet. We know that it did shrink by 50%, but he needs a PET scan to determine if it is actually dead. 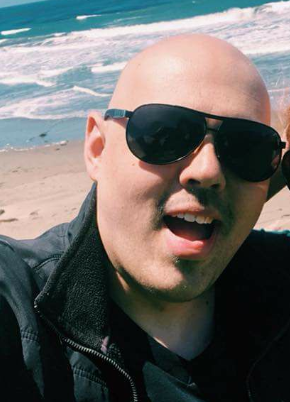 That scan will happen in a month; more chemo needs to leave his body first. We were hoping that the PET scan would happen this week, but we must wait. The doctor had told us that he was literally infusing Bryon with platinum, metal, and that, of course, will show up on the scan. For now, it is amazing to see Bryon becoming himself again. I talked with him on the phone the other day and said, “You are sounding like my son again”. His immediate tongue-in-cheek response was: “What, as opposed to your daughter”? Happy and joyous day of your birth, Bryon!! We are all cheering you on and planning to celebrate the end of cancer soon!!! 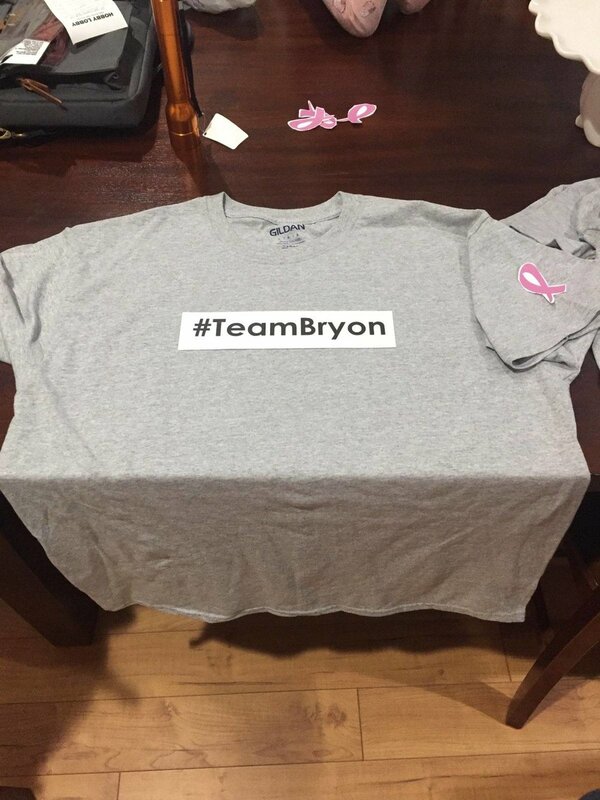 My daughter, Genette, and niece, Samantha, decided to make t-shirts in support of Bryon's fight with cancer. Genette drove from Virginia to Sam’s house in West Virginia for a weekend and the two girls designed a simple logo and ironed it onto t-shirts for the family. My sister, Kay, and brother-in-law, Chuck, drove from Maryland to Sam’s house to help in the “manufacturing process.” I was in California, so they did a video chat with me so I could see what they were doing. The design is in the color that I call "Bryon blue." Here is the story behind the color. When my kids were little, everyone in our family was assigned a color; Steven, my husband, has purple; I have yellow; Genette is green; Bryon is blue; Carmen is red. It was really an organizing system — cups were purchased in these specific colors so we knew which one belonged to whom, we identified gifts by the color of the ribbon… you get the idea, right? As the family has grown, so has the spectrum. Genette married Abe; his color is gray (he picked it, it is not my fault). Amber, Bryon’s girlfriend, has chosen teal, her favorite color. 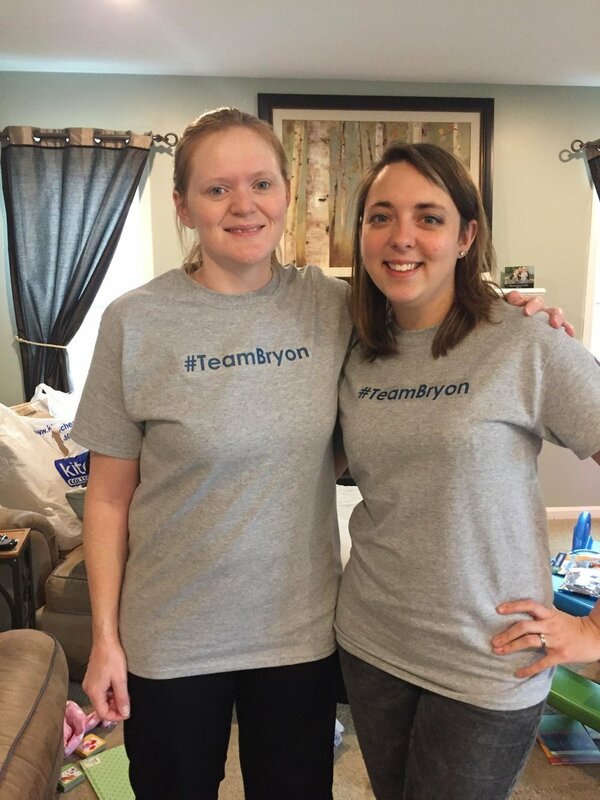 It was appropriate that Genette and Sam used Bryon blue on the shirts. 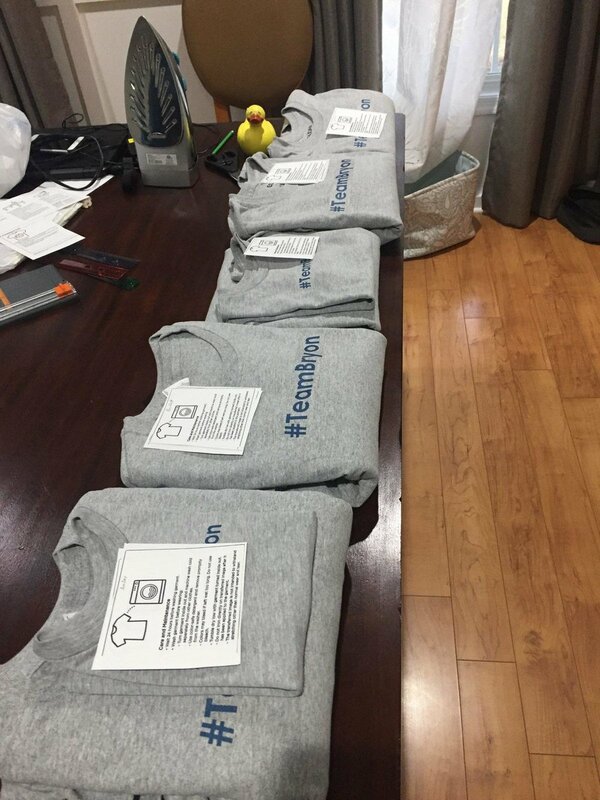 When I look at those t-shirts, I don’t just see an article of clothing, I see the love of family. I see cousins getting together to help Bryon fight. I see these girls being friends and enjoying each other. I see my sister supporting me, as she always has, as I stand with my son. When my extended family wears these shirts, I see one unit. We live in different states, are at different stages of life, with different ideas. We are different individuals. But when it comes to the important things, we are united... we are a team.